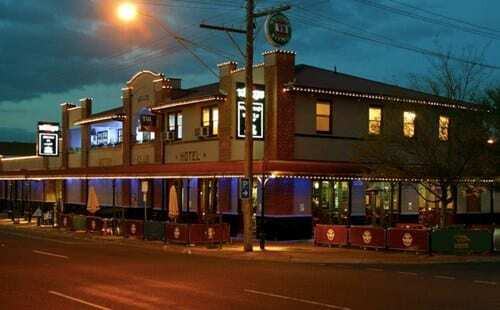 When the Kelly family bought the Motor Club Hotel in 1923, after owning the Cranbourne Hotel previously, they envisioned a venue that would cater to the community in a safe and comfortable environment. Today, the Kelly family still own the pub, ensuring that both the tradition and high standard continues. Feel like a quick bite? Want to celebrate a birthday with the family for dinner? Want to see what all the fuss is about? Kelly’s Hotel kitchen is renowned throughout the area for creating a sumptuous array of quality pub fare of the highest standard. Our experienced friendly staff cater for over 2,500 people every week, numbers like that can’t lie. Try a variety of cuisines and daily specials and be sure to stay for dessert. You won’t be disappointed. The Café Bar is as diverse as the people who frequent it. With a choice of perching yourself up on individual mushroom tables or nestling in our lounge area, both are great places to catch up with friends over our wide variety of brews and wines. We have all the great regions of Australia covered, especially our local regions of Gippsland and the Mornington Peninsula. There is nothing like dining outside on a warm balmy evening whilst sipping a cool beverage. Our Alfresco Deck is situated curbside on Childers St, seating 80 people comfortably under the cover of three magnificent Chinese Elm trees. The large outdoor TV is always tuned to the big sporting events we all love watching. The deck is open: Monday-Thursday 12pm-Late & Friday-Sunday 11.30am-Late. This is our first visit to Kelly’s Hotel and will certainly be dining with them again. The staff were welcoming and the bistro has a huge menu choice! This delightful hotel has a country feel and impeccably well trained staff. The sliders and calamari were presented well and delicious. Well done to everyone at Kelly’s Hotel. Such an amazing evening at Kelly’s! A Saturday night and they were crazy busy but they found space for us and made up a table! Their service was prompt and the food was hot and delicious! The staff were also super friendly and obliging! Their function room was also very organised and comfortable. Would highly recommend this place to anyone who is looking for a place to eat! I love taking friends to Kelly’s. It is simply the best restaurant in Cranbourne. Today I had lunch with my brother, who is on a visit from UK, and a friend. The staff are so always so welcoming and the service without fault. The meal was simply the tastiest — just a generous serve of good fresh food that is cooked by a Chef de Cuisine — and the coffee made a perfect finish. All this complimented by a sparkling glass of Mornington beer — my very favourite. Thank you for your generosity and an excellent meal. We will be back for more soon. Our visit to Kelly’s after a long time was a wonderful experience. Quickly seated and served with our starter of Lemon, Lime &Pepper Squid set the tone for the rest of the evening. Mains really filled their plates and bowls. The Crispy Skinned Tasmanian Salmon and the South Gippsland Porterhouse where outstanding as were all of our meals. Only one of our group managed to clean their plate. Hot meals were hot and deserts nicely chilled. Service was timely, pleasant and cheerful. When people ask for a recommendation locally I usually tell them Kelly’s. 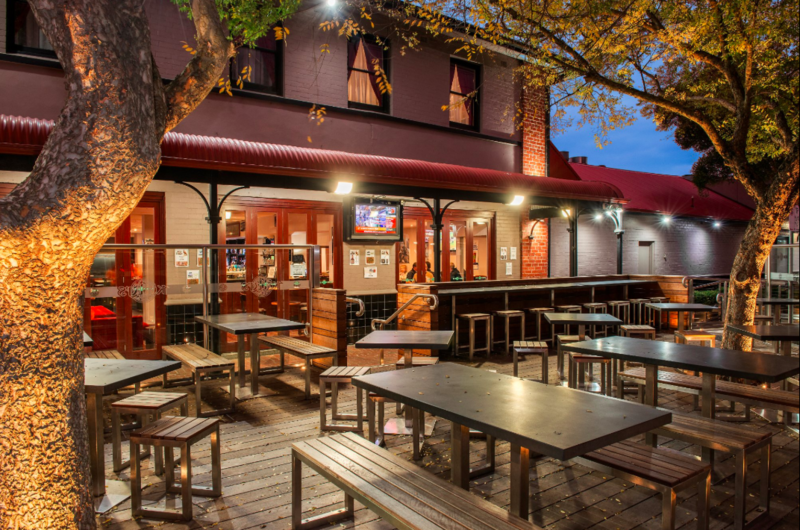 Great quality food and it’s no wonder they are so popular and consistently voted one of the best pubs in Melbourne. Popular and well designed outside beer garden for the nice weather days. Plenty of parking at park near Aldis as well.